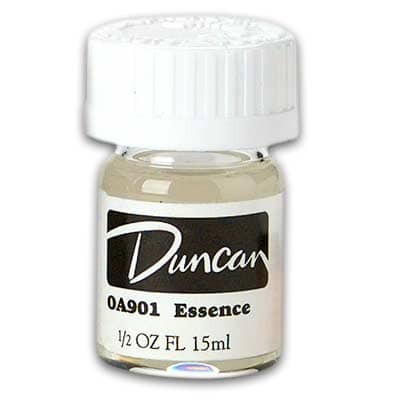 Essence is used to thin overglazes when they get too thick. To clean brushes. Swish overglaze brush in solvent until bristles are free of product. Wipe on paper towel. Put one in your cart to get 20% off! Put 12 in your cart to get 38% off! 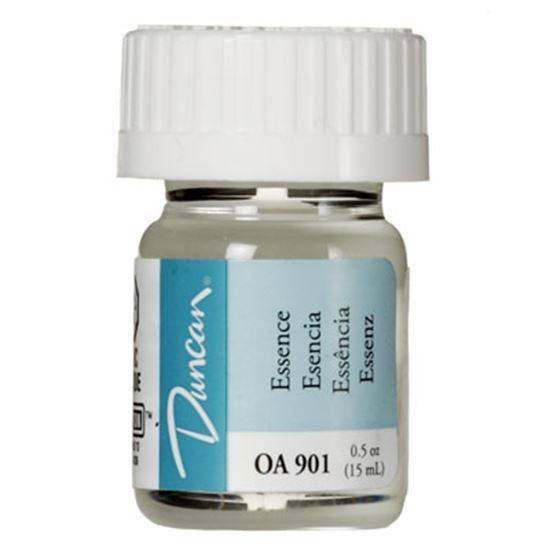 Use a separate bottle of Essence for each overglaze product. Mark the bottles according to which overglaze product was used. Contamination can result if brushes and/or Essence used with one product come in contact with brushes and/or Essence used with another. For example, if you use Bright Gold and clean your brush in one bottle of Essence, then clean a brush used with Mother of Pearl in that same bottle of Essence, contamination will result and compromise all subsequent firings.